Flan — also known as creme caramel — is a Spanish custard with a caramel coating. Quesillo is the Venezuelan version of this sweet Spanish dessert. As with Spanish flan, the caramel is poured into the mold first, and then the custard mixture is added. Once the quesillo is baked, it is turned out, so the caramel is on top. 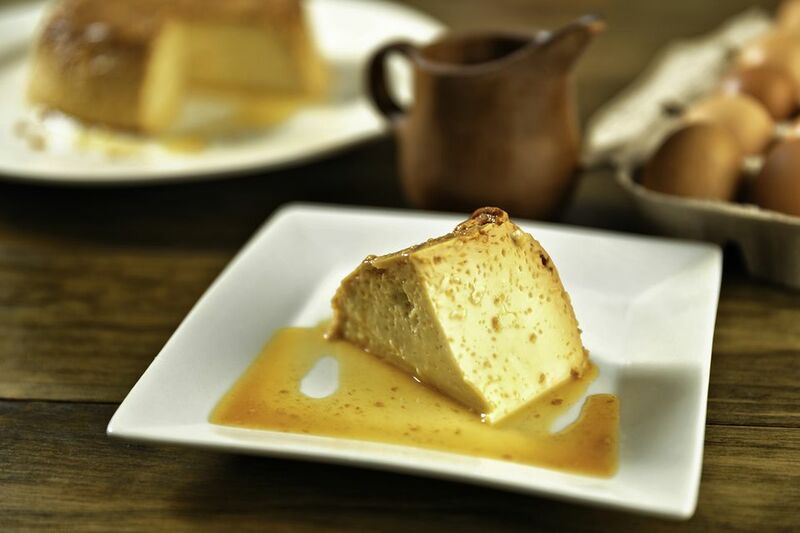 Be watchful and mindful when baking the quesillo, as flan shouldn't be overcooked or it loses its creamy texture. Many people serve flan at room temperature or cold, but it is also delicious when it is still a bit warm. This recipe works well for an 8-cup ring mold, but you can easily double the recipe for larger molds. You can also make the quesillo in individual molds. In a heavy skillet or saucepan, melt the sugar with a couple of tablespoons of water over medium heat, occasionally stirring, until sugar has melted completely and starts to turn golden brown. Carefully pour hot caramel into the mold, swirling it around to coat the bottom and sides of the mold. Set mold aside. Preheat oven to 325 F. Set some water to boil. Whisk together the eggs, condensed milk, whole milk, vanilla, and salt until well mixed, or blend them in the blender. Pour egg mixture into the mold. Place the mold inside of a pan with tall sides (like a 9 x 13 sheet cake pan or a roasting pan). Place the pan on the oven rack, and carefully fill pan around mold with boiling water (to make a bain marie). Bake until flan no longer jiggles a lot in the center, or just until a knife inserted into the flan comes out clean, about 20 to 30 minutes.